This weekend it finally happened. I got a bob. And I couldn’t be happier. 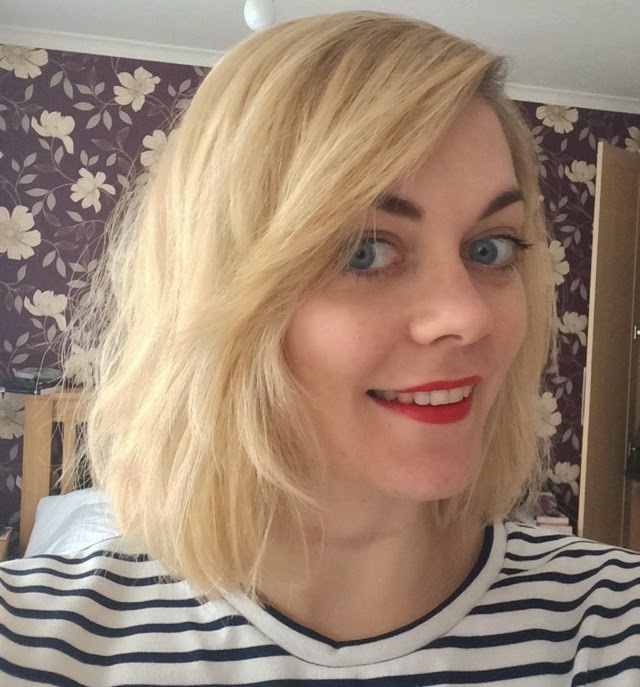 I feel like it was only yesterday I was telling you Why the Wavy Lob Rules but then I got hooked on Sienna Miller’s short do and decided I wanted one of my own. I browsed numerous hairdos, mulled it over with a couple of my besties and then immediately text my trusty hairdresser. I knew if I got approval from her, it was on. And it was most definitely on. First off I have to tell you that my hair feels so much lighter. Now that it’s shorter it has more movement and body and I think gives me more of a style. Suddenly I feel more put together. We kept the base of the hair blunt with the front a little longer and then sliced into it to make it nice and choppy. Et voila.